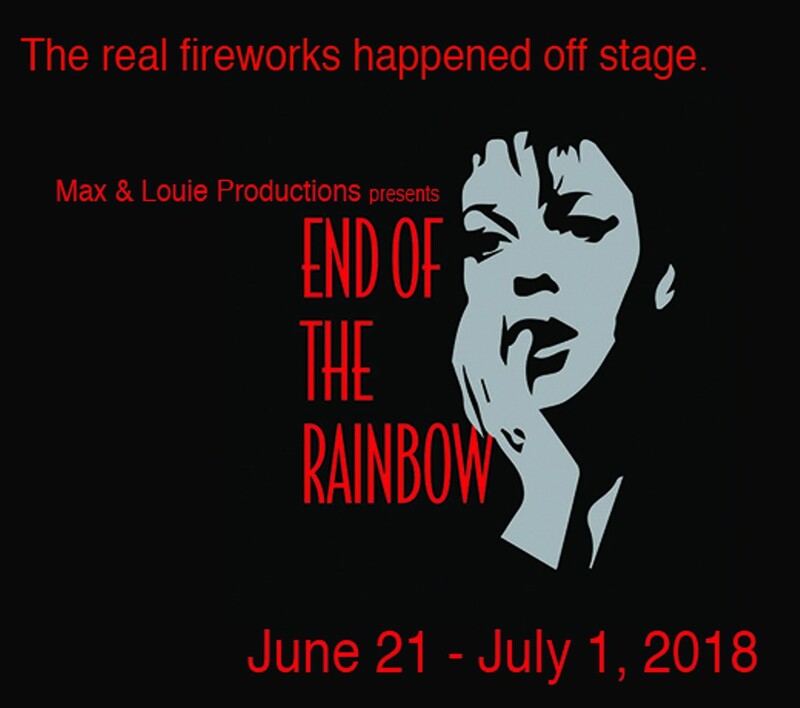 Max & Louie Productions presents “End of the Rainbow.” It’s 1968 and Judy Garland is about to make her comeback…again. In a London hotel room, with both her new young fiancé and her adoring accompanist, Garland struggles to get “beyond the rainbow” with her signature cocktail of talent, tenacity and razor-sharp wit. Featuring some of Garland’s most memorable songs, this savagely funny play-with-music offers unique insight into the inner conflict that inspired and consumed one of the most beloved figures of our time. 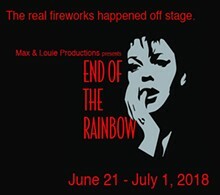 “End of the Rainbow” was nominated for 3 Tony Awards and 4 Olivier Awards including Best New Play.